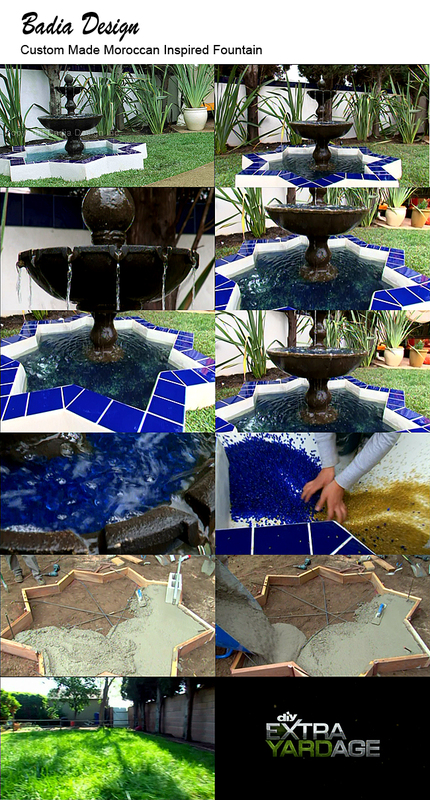 Outdoor Tile Water Fountain from Badia Design Inc., located in Los Angeles, CA. We have many different sizes and color combinations of water fountains that I’m sure will fit your needs. All of our fountains come with a brass spigot and back plate so there is no installation for you except adding the water. Our Outdoor Tile Water Fountains can be used in many different places around your yard, swimming pool area or patio. Moroccan Tiled Water Fountain from Badia Design Inc. located in Los Angeles, CA. We have many different sizes and color combinations that I’m sure will fit your needs. They also come with a brass spout and back plate. Our Tiled Water Fountain can be used outdoors or indoors but are better used outside. Badia Design Inc. has some of the most vivid color and largest Moroccan Mosaic Tile Water Fountains in the US. They are all handmade by our skilled artisans and imported from Morocco. They come with everything you need to get started; a water pump and spigot and we thoroughly check each one for leaks and defects before selling them to our valued customers. If you are decorating your home or lawn, then you should consider purchasing one of our colorful Moroccan Mosaic Water Fountains which can be used indoors or outdoors. Please visit our website to see our full listing of Moroccan Tile Water Fountains. Beautiful green Moroccan tiled floor and water fountain at a resort in Marrakesh, Morocco. Badia Design Inc. – 818-762-0130 | Badia Design Inc. has the largest supply of Moroccan Cement Tiles in Los Angeles, Beverly Hills, West Los Angeles and surrounding areas. Our Moroccan Cement Tiles are hand painted, imported from Morocco and are of the highest quality material. With our Moroccan Cement Tiles, four square pieces make up one complete design. Whatever your Cement Tile Project is, I’m sure you will enjoy their vivid colors for many years to come. 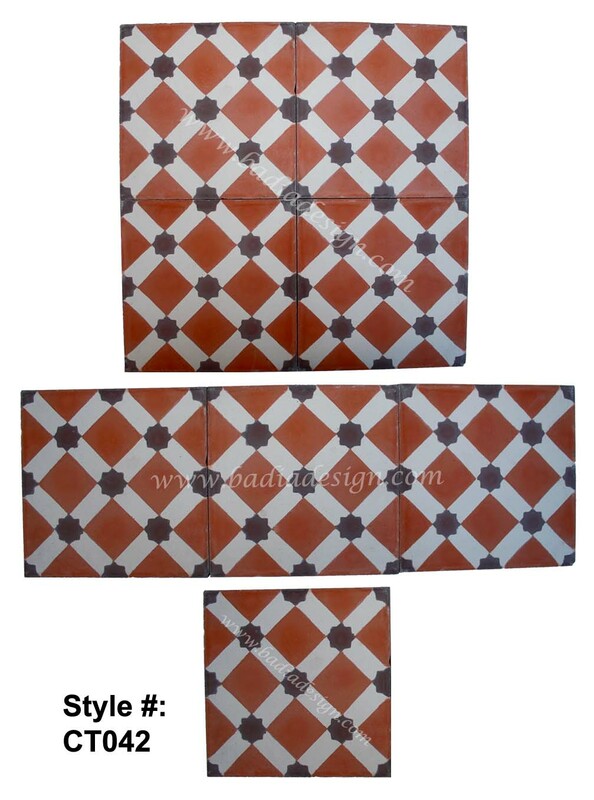 Don’t see the Moroccan Cement Tile Design and colors you’re looking for on our blog or website? Simply give us a call or email, let us know your requirements and we can special make them for you. Mosaic Tile Straight Top with Arched Design at the Center Wall Fountain. It features a single waterfall Brass Spout, perfect for indoor and outdoor. We can custom made the color and size for your needs! Contact us at info@badiadesign.com for more information.